Chlorine bleach is a common cleaning product that removes mildew and mold, and can also alter the color of the surface on which you apply it. If your grout is discolored because of mildew growth or staining, you can apply a bleach solution to lighten it. Bleach may also lighten the original color of unsealed grout. Bleach can lighten grout in any area of the home. Wear gloves to protect your skin. Open any windows in the room or turn on the ventilation fan. 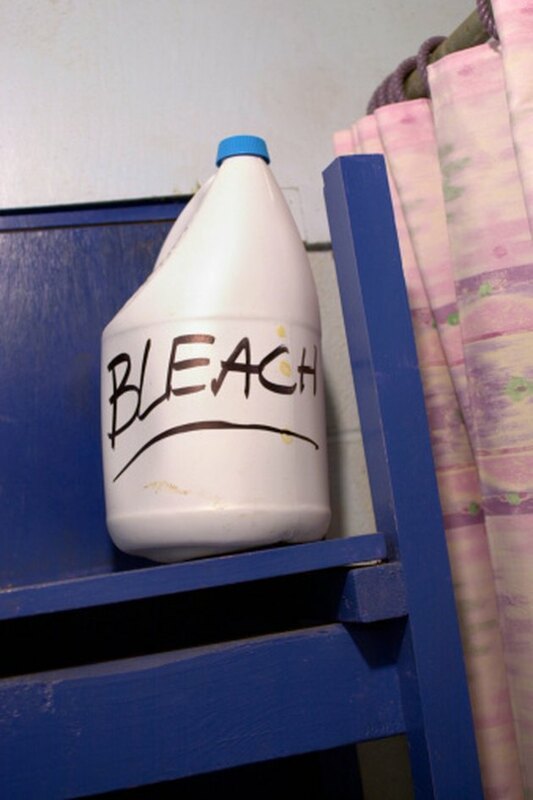 Fill your bucket with five parts water to one part chlorine bleach. Dip a bristled brush into the solution to agitate it so the bleach and water are thoroughly mixed together. Dip the brush into the bleach and scrub the grout with the brush. Continue scrubbing the grout lines, dipping the brush back into the bleach every 10 or 15 seconds. Leave the bleach on the grout to soak for five to 10 minutes. Rinse the bucket and scrub brush with clean water. Rub down the grout with a clean, damp cloth to rinse the bleach.